WTF is this?! It's like an alternate universe! Are you sad now that Taylor’s 18 and he no longer needs you? Have you and Chris Hansen met up at Buffalo Wild Wings for all-you-can-eat hot wings night because both of your schedules are virtually empty? Did you guys cry into your pitcher of domestic beer and hold each other because if there’s no need to babysit Taylor or bust us pervs than there’s no reason to live? I saw these pictures of Taylor today and all I could think about was how sad you must be. There’s just something missing from a Taylor airport picture when you’re not in it! Sure, he’s rocking the obligatory leather jacket and that’s nice to look at for a hot minute but then I get anxious, I want to see YOU and the dad belt cell phone, pushing the luggage cart, looking for a Pizza Hut Express, thinking about ordering the personal pan pizza AND the bread sticks. What are we going to do now!? What are YOU going to do now? 01. Finally look into those fast food franchise opportunities! I’m sure the valley needs a Sonic or a Chick Fil A (PLEASE!) and what quiet neighborhood doesn’t need a McDonald’s on the corner of their block? 02. Finally enroll in Olive Gardens “Culinary Institute of Tuscany” so you can make that Soup, Salad and Breadsticks at home any time you want! 03. Take Taylor’s Audi out for a joy ride. Call the paps and tell them “Taylor” is going to Morton’s, show up and peel out in front of them wearing your dad Oakleys. Cruise the Disney lot for some fresh meat to take to lunch. Leave fast food trash behind the front seat for Taylor to find when he comes home. OH NO, I just thought of this: this means NO Big Daddy in Vancouver for reshoots??!!!! My reason for living is OVER! Ehhhh not to so fassssttt………………………………………..
03. You’re following @younglife – jesus luver! And we KNOW how much you love some hey-zeus! 07. You’re following @samantharonson – You love lesbians both real and fake and since Kristen doesn’t have a twitter you had to go with the next best option. So without having the hallowed verified check mark or emailing your people and having them call our people, cause who has time for that? These are the reasons I KNOW it’s you. And I’m here to say, it’s alright… I know you read us and it’s ok for you to follow us. Just do it… press that “follow” button… NOW! Sooooo what will we do without Big Daddy? What other stuff could he do with his free time now? 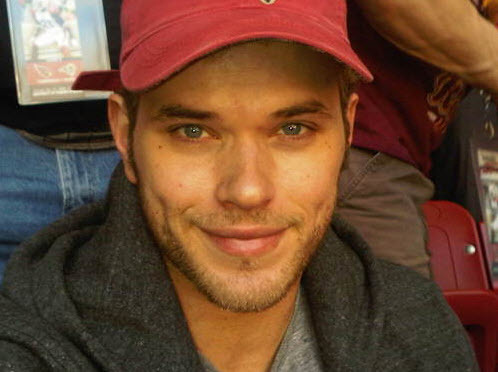 Do you think @KellanLutz if for realz? How long do you think it will take before he gives in and follows us? I’m on a mission. We broke down Kaleb Nation in a week… can we get Kellan Lutz? What other indicators make you think that’s the real KL? Dudes it’s that time again… time to empty out the DVR and make room for Eclipse! The lovely Jena has made an all new Eclipse DVR alertpage over on the forum. CHECK IT before you wreck it. It’s my one year anniversary commenting on LTT! 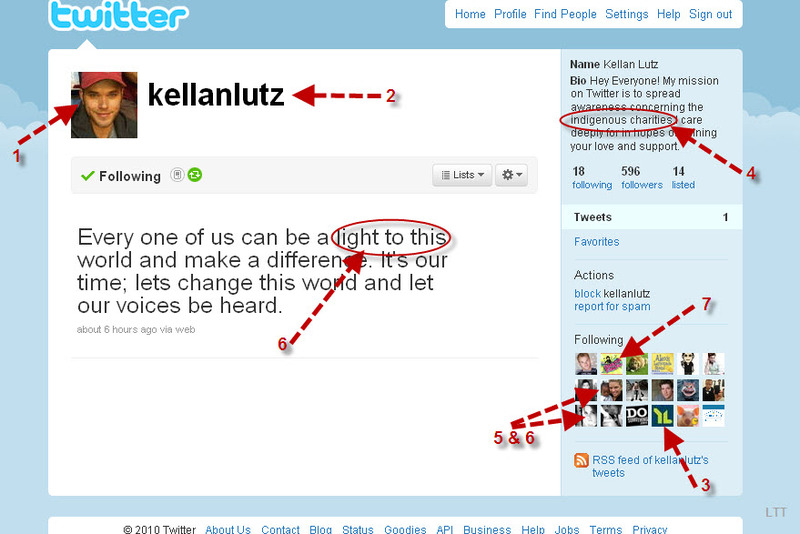 I finally came out of lurkdom on April 19, 2009, and commented on a post on Kellan. I’d been hanging out on LTR and LTT for about a month, since the Twilight DVD came out, and I saw how cute Rob was when he talked on the commentary, and I proceeded to Google everything Twi-related. Which, of course, led me to you. I have to get a little Twintimental and Twilosophic here, which is not my normal way, but I have to say, Twilight and LTT have changed my life. Literally. I knew when I put my first comment out there that I was stepping into an established society of commenters. I felt like it was already a clique as people commented back and forth all day long, not just talking about Twilight, but also about daily life. I was worried, because I had never commented on a blog before. But Kellan was oiled up and dirty and reading Purpose-Driven Life and Moon referenced the Song of Solomon—I couldn’t help but ask Kellan to reenact passages from the Song of Solomon with me. And low and behold, out of the 27 comments that day (can you believe it? So few! ), both VickyB and Moon responded back to me, laughing at my joke! (Moon, the first few times you or UC commented on anything I wrote, I fangirled a little. I won’t lie.) I became a commenter in that moment. Then the Forum came along, and I really started to interact with the lovely ladies of LTT. Then came Twitter, and I was a goner. I could Tweet all day long, look at pictures of Rob, and keep abreast of all the Twi news. And in the course of that, I really got to know some people. I began to associate names and faces with the funny, witty comments. I began to share more and more of myself. And it rose above being just about those “vegetarian vampires” or Rob’s hotness, and instead became about the relationships that I was lucky enough to develop. Who doesn't write their 1st novel in silver ink? When I first read Twilight (and subsequently New Moon, Eclipse, and Breaking Dawn in rapid succession), I had decided to be pragmatic. I gave up on having a dream in life. I didn’t have time for love, friendships, or my own creativity. There was work, and blankly staring at the TV, and that was pretty much it. I felt numb. Then (as dumb as it may seem), I read Twilight, and fell a little bit in love with Edward. 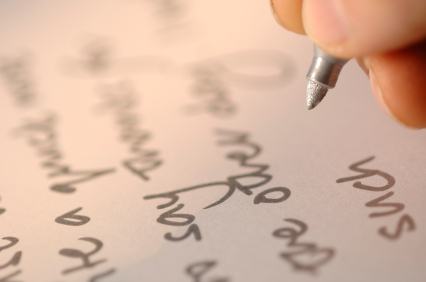 And like an involuntary itch that you have to scratch, I found the need to write something. In the course of three months, I wrote an entire novel. I will never publish this novel, but it was an amazing experience, because I knew that I COULD write a whole book, if I wanted to. That was empowering to me. And I felt more alive than I had in a long time. Then I began to get to know people (now that I wasn’t holed up with my novel every night), and I started to really want to be friends with people I was meeting, not just to talk about Twilight. Some of my best friends now are people I met here, and I couldn’t be more grateful. I’ve done a few meet-ups with some fantastic people—Brooke Lockart, Marta, Stage Manage This, It’s La Push Baby, Jordan the unicorn, and Krazy Kidd are people I’ve all been fortunate enough to meet in real life. I’ve got big vacation plans for this summer to meet up with even more fabulous people I’ve met here. I could have never predicted, last year when I first hesitantly wrote my mini-letter to Kellan, how much I would need friends this year. That I would need people who lived outside of my life, who could listen, sympathize, and laugh with me. People to talk books and music and makeup with on any given day. People who would give me a new perspective and enrich my life. Letters to Twilight has given me people who seem hand-picked, just right for being my friends. They have been the key to my sanity when my world seems insane, the refuge from all the things I can’t control right now. So, to my LTT friends, thank you for being good friends. For all the talks, the gifts, the encouragement, and the love, I thank you so much. My world would be bleak without your friendship. 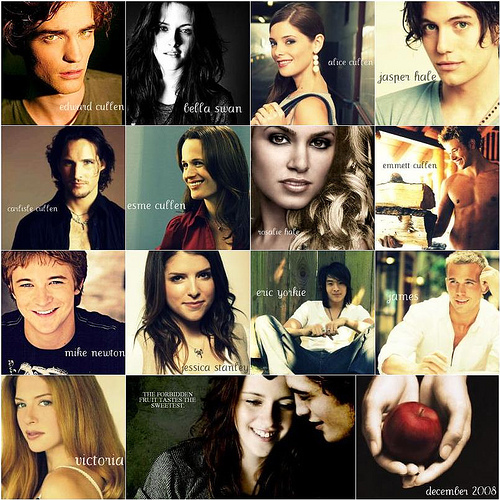 To the cast of Twilight, thank you for being so ridiculously good-looking. Not to mention funny, bright and interesting enough for me to YouTube you, Google you, and find this place. 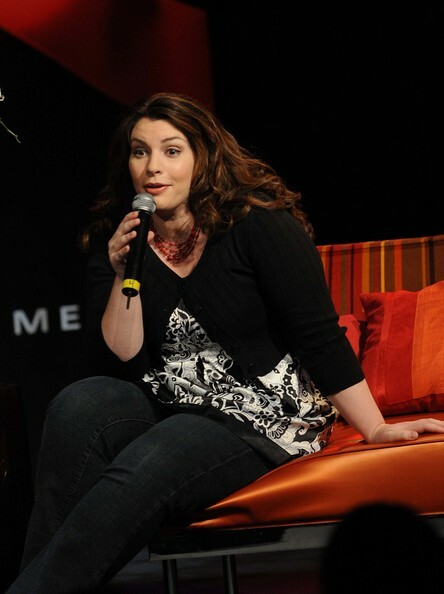 To Stephenie Meyer, thank you for listening to Bella and Edward and making them come to life in the pages of your books. Without them, I wouldn’t have had the impetus to make some changes in my life and to reach out to these people. You are to credit for creating this community in the first place. To Moon and UC, thank you for being so incredibly funny and devoted and for becoming my friends, as well. I know you never anticipated this being what it is now, and that it’s evolved almost organically. But the fact is, without your willingness to slog through every day, whether you felt like it or not, this all would not be. You’ve brought together hundreds of people. You’ve spawned countless friendships. You’ve given us a spot in your lives, and in turn, have received a spot in ours. I love you ladies. My love for Twilight may wane, my love for Rob cool to passing interest, but for the very real people here, I hope that our friendships last a very long time, indeed. dangit Freya now my eye make ups all jacked up but I lurve you anyway! We’ve said it a billion times bit we’re glad we can be a place where friends meet and friendships are born. Twilight is just the catalyst for all this and we couldn’t be happier because of it. So have you made any friends through LTT/LTR or that Micheal Buble forum you’re apart of or the NKOTB fan club you were in back in the day? Tell me about i! Guess what January 19th is…yup you guessed it…it’s my one year anniversary with you and I wanted to write you a letter to kind of sum up this past awesomesauce year and all the amazing people who I’ve been able to meet, hang, and have fun with through the LTR/LTT blog! I know time has flown by quickly huh?! It seems like yesterday when I thought I was losing my mind because I didn’t think anyone would understand my “Acute Fondness” with all things Rob/Twilight! To think that all this love for both the books and Rob have brought me close to some amazing people who have become part of my life and have helped me be where I am today…it just amazes me! So for today’s post I hope you enjoy the sappiness that my letter brings as I thank you and these people for creating such great memories this past year. Before LTR/LTT I thought that I was alone in my love for the books and my creepy infatuation with Rob. None of my friends understood why I had read the four books in 5 days and why I continued to read them after the fact. They also didn’t see the appeal to Rob and thought I was probably losing my mind because to them he was no Brad Pitt. Luckily for me I happen to stumble upon this gem through another website as I was looking for information on Rob and his whereabouts since it was the time after the Twilight movie came out and he had somewhat disappeared…I know creepy…don’t judge. As I clicked on the link it brought me to the Letters to Rob website and as I read through the comments I couldn’t help but laugh and be relieved to find that other people also shared the love for the things that had taken up a huge part of my time at that moment. It was refreshing to see the approach that UC and Moon had towards the Twilight/Rob topics, with their wit and charm I was instantly drawn in and haven’t been the same ever since. As time progressed the blog got bigger and more people started hanging out and leaving comments. 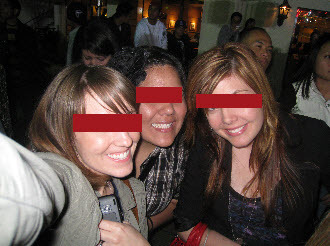 The friendships I was beginning to build through this blog were blossoming. At the same time my personal life was going through a downward spiral…you see I was going through some things at the time and I remember getting onto to LTT one morning and seeing this https://letterstotwilight.wordpress.com/2009/05/05/the-new-moon-contest-winner-that-should-have-been/ …I felt like UC was speaking directly to me with this post…to say I broke down was an understatement. I emailed UC that day and just let her know how much the post had touched me and how it spoke volumes to me. She was amazing and friendly and just…there for me. I felt comfortable and I pretty much spilled my guts and felt better afterward. She then put me in touch with another amazing girl BrookeLockart aka Brookie who was going through a similar situation. Brookie was there for me 100% and showed unconditional support no matter the distance between us. You see LTR/LTT to me is more than just a blog where I can shoot the shiz or laugh at the 2nd-hand embarrassment that happens. That day I knew that this blog brought people together and the people that this blog has connected and help build bonds with are wonderful individuals and I can see these people being in my life for a very long time. I know I totes sound like a hallmark card, so cliche and cheesy, but I just want to give you an idea of how amazeballs the LTR/LTT peeps are! 05. MTV Music Video Awards – May 31st 2009 will live in infamy for many reasons. 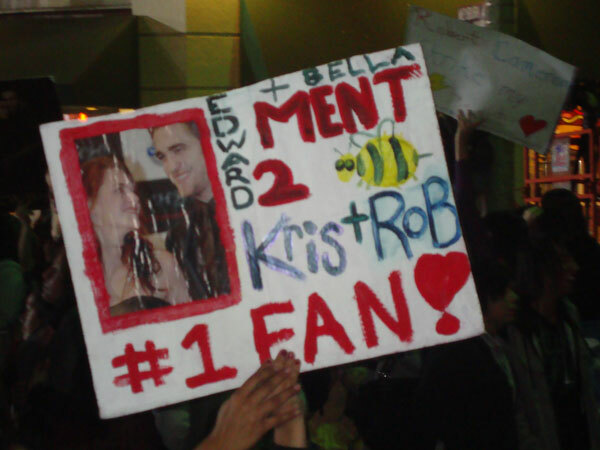 Not only were we treated to the very first mini trailer for New Moon in which we got to see Jacob with his shirt off, Jacob looking hot and Jacob fursploding for the very first time then we got to see Kristen pull a Bella and drop her award on the ground but Rob and Kristen won best kiss. And oh how the fandom died a little inside when they faked us all out with their cockblock of a kiss. Of course this spiraled out of control and took the whole “are they or aren’t they”/Robsten vs Nonsten speculation to meteoric levels. Oh and UC and Moon got the honor of live blogging the event for almost 50,000 folks with our fave blogger pals New Moon Movie, Twicrack Addict and Lauren’s Bite. What will make the top three best of Twilight 2009 list? Follow the cut to see! 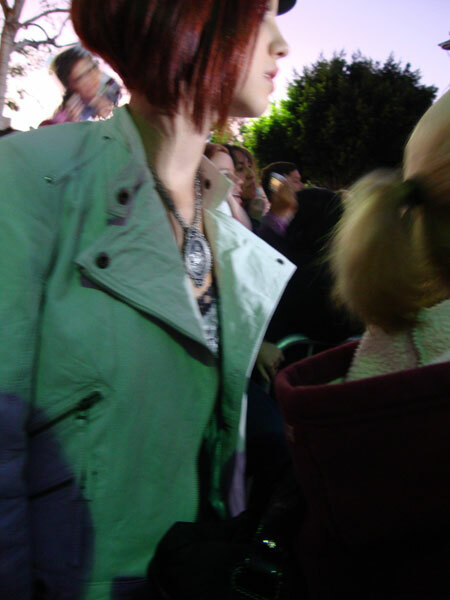 Waiting in line for New Moon premiere? Get your helpful tips here! 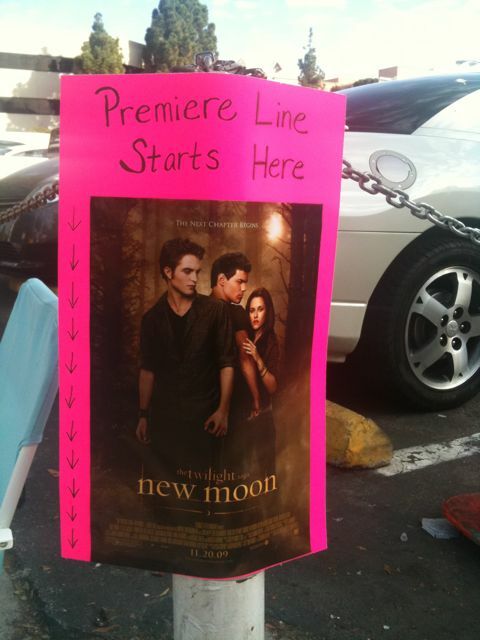 Yesterday morning we were told a super big secret that 13 people were already in line for the New Moon premiere. Then the news leaked on Twitter and suddenly it wasn’t a secret anymore. Did you just panic because you have plans tonight and didn’t set aside time to glue your eyes to your laptop while you watch a live stream of the red carpet? Don’t worry you still have a few days. Yes, that’s right, because the premiere isn’t tonight, but it’s Monday night. Yep. Those who got in line yesterday are there 4 days in advance. Those who will get in line today will be there 3 days early. Tomorrow… 2 days. Sunday 1 day… etc. 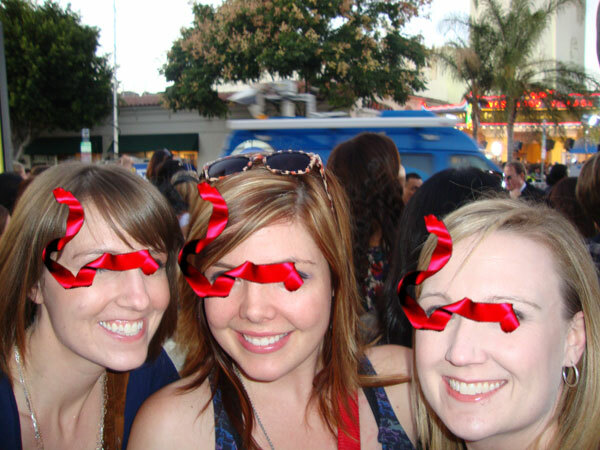 It turns out that the first group of people are line are the gals from Twifans.com and Cullenboysanonymous.com. Okay, they both run Twilight fansites, I get why they want to be up close and personal on the red carpet. They want to get first-hand accounts and interviews and videos for their readers. That’s really nice. I can hear your questions now, “UC- aren’t you changing your flight and flying out tonight instead of waiting until Sunday so that you and Moon can get in line and be sure to get us an exclusive interview with Solomon Trimble (who I bet is the 3rd person in line behind Twifans & CBA) and catch the action when Cathy Hardi tries to sneak past security and onto the red carpet?” Uh, no. We’re not going to be doing that. We love you and all, and while a one-on-one with Solomon would be great and we could potential make our dream come true if we see HIM on the red carpet (our dream being a UC & Moon sandwich with Big Daddy Lautner in the middle), we value sleep in a comfy bed and protection from crazy Twihards & tweens more than spending 4 days in the hot sun then cold nights on a deflating air mattress while suffering from the Urinary Tract Infection (UTI) that we’d get because we’d have to hold our pee for four days all the while one person stays awake to protect us from the non-rob hobos that roam the streets of Westwood, CA. Play the FanFiction game: Someone reads out loud from a famous fic like The Office or Wide Awake and you take turns acting out scenes with cardboard Edward. 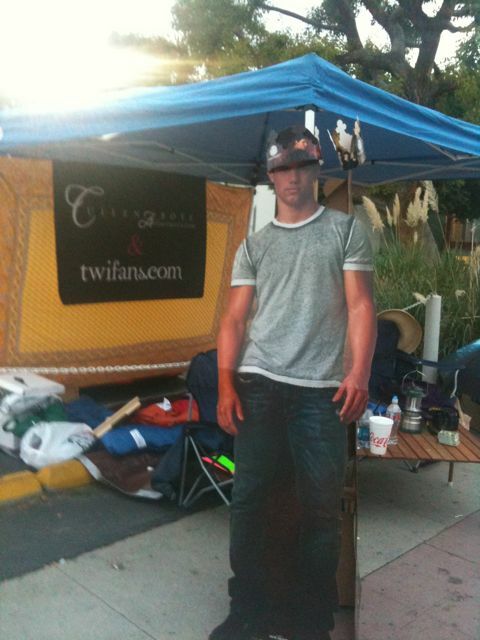 Since there is a New Moon Cardboard Ed & a Twi version, it’ll be like he changed clothes (unlike you who is stuck in the same thing for four days). Transcribe New Moon by hand into a leather-bound notebook as a gift to Rob since it’s his favorite book. Get Solomon to sign it. Paint your nails so that each finger has a detailed picture of a cast member- Edward-Bella-Jacob-Alice-Charlie-The Wolves- The Cullens-the Humans-The Volturi- The bad Vamps- 10! It has come to our attention that many of you come to us for your Twilight news. I understand. We are a valuable news source for up-to-date twilight news & offer a breath of first-hand knowledge (just see letters: The music Stephenie Meyer REALLY listened to while writing Twilight and Jackson got hurt, did he try the leg hitch? No seriously? Some of you come to US for news? Guys… I have to confess… we leave a lot out. In order to bring you a brilliant letter each day, we just have to leave it at that- ONE brilliant letter. So we miss a lot of really important stuff. In fact, sometimes we’re so focused on breaking down insignificant details of unimportant photo shoots, and naming background characters who tag along with the famous people that we ourselves don’t even know what’s going on in the Twi-world. I feel like that this week. Or the past few weeks. So today I’m going to do a run-down of the latest Twi news. Don’t want you missing anything really important! Summit promises to “treat” us with “title treatment” (wtf?) when @twilight receives 200,000 followers on twitter. However, since everyone knows that no one who starts a twitter a month before their SECOND movie releases is to be considered a valuable source for news, they can’t get to 200,000 followers. And someone gets mad. So they release the Eclipse logo. And underwhelm us all. BONUS TIDBIT OF NEWS: Today they just got their 132,763rd follower. They promise to give us something special again IF they reach 200,000. We’re guessing it’s David Slade’s actual height. Harper’s Bazaar tweet-hints that they will soon announce who is on their cover for December. They forget who we are. And that we’re not stupid. And as a result they are punished. And the photo shoot leaks. And we laugh. After we stop crying that we’re not Kristen in this photo-shoot and make a mental note to start saving our Hefty trash bags for a little fashion statement of our own. OMG! I attatch mine to a wheel chair and pretend Billy Black is effing from behind, then I get another one and attatch a moustache to it and pretend it’s Charlie Swan..he loves it!